This article was originally published in our November 2015 newsletter. Due to the importance of pure oats, I decided to beef it up a bit and post it here. Thanks! updated 12/31/18 - Updated GFW’s purity protocol oats list. updated 04/20/17 - Add Healio article "Oats appear safe for patients with celiac disease" . updated 04/11/17 - Add GIG's Purity Protocol definition. updated 05/18/16 - Added GFW oat product analysis. Oats and products made with oats have been burning up the internet lately. People in the gluten-free community started asking manufacturers exactly what kind of oats are used in their products…with surprising results. More on that later, but first a little background information on said ingredient of discussion. Oats have been controversial for over 20 years. Are they acceptable on a GF diet or not? Please use these excellent articles to help you and your medical professionals to make an educated decision if oats are right for you. Pinto-Sánchez MI, et al. Gastroenterol. 2017;doi:10.1053/j.gastro.2017.04.009. "Adding oats to increase the nutritional value of a gluten-free diet does not appear to affect symptoms, histology, immunity or serologic features of patients with celiac disease, according to new research published in Gastroenterology." "These results are “reassuring, and suggest that non-contaminated oats are tolerated by the great majority of patients,” Peter H. R. Green, MD, professor of medicine at Columbia University Medical Center, and director of the Celiac Disease Center at Columbia University, and colleagues wrote. However, they noted that their “confidence is limited by the low quality and limited geographic distribution of the data.”"
To better address the controversies surrounding the safety of adding oats to a gluten-free diet, Green and colleagues reviewed studies evaluating the safety of oats as part of a gluten-free diet in patients diagnosed with celiac disease or the related skin condition dermatitis herpetiformis. They ultimately included 28 studies published up to January 2017 in their analysis, six of which were randomized controlled trials that used pure uncontaminated oats, and two of which were non-randomized controlled trials (RCTs, n = 661), while the rest were observational studies. Only RCT data were included in a meta-analysis. One year of eating oats showed no significant effects on symptoms, histologic findings, intraepithelial lymphocyte counts, or serologic test results. These findings were comparable in both adults and children. Further, the results of three non-RCTs suggested that dermatitis herpetiformis lesions did not worsen after consumption of oats. No studies compared regular vs. pure oats. Be sure to read the entire comment from Dr. DiMarino, Jr.,MD at the end of article. "Prolamines are the alcohol-soluble portion of the protein in wheat, rye and barley, and are antigenic in celiac patients. The prolamines in oats are not antigenic, so theoretically it’s possible that eating oats should not be harmful to celiac patients. However, some prior studies have suggested that celiac patients may experience a reaction to eating oats. At the Jefferson Celiac Center, we believe the science behind the idea that the prolamine component of oats is safe as compared with the prolamine in wheat, rye and barley. However, we also recognize that cross-contamination of the oat supply is more likely in the U.S. than in Europe. Therefore, we advise newly diagnosed celiac patients who are still symptomatic to avoid oats. Once their anti-tissue transglutaminase or deamidated anti-gliadin antibody levels normalize, and they become asymptomatic, we advise them to cautiously introduce the purest form of oats available as there are several products that avoid cross contamination. If they become symptomatic again after consuming oats, we know that either cross-contamination has occurred, or they may be one of the perhaps 5% to 10% of patients who also may have an intolerance of oats for reasons unrelated to celiac disease." Nancy Lapid’s article contains summaries of all the North American celiac/gluten free organizations and treatment centers recommendations on oat consumption. Currently, most medical professionals say pure, gluten-free oats can be tolerated in limited amounts [up to a 1/2 cup per day for adults]. Many in the gluten-free community would beg to differ with that recommendation because they react to gluten-free oats as well. Those in the grain-free/low-carb community offer convincing evidence that supports their lifestyle too. Regular followup testing is also advised to make sure intestinal damage is not occurring. For those newly diagnosed, it’s suggested to restrict the use of oats for up to one year. Also be aware that some celiacs react to the protein found in oats [known as avenin] just as they react to the proteins in wheat, barley, rye. If you know they cause you discomfort, do not eat them. The experts who recommend oats, all agree that only pure, uncontaminated gluten-free oats be used - no commercial oats allowed. Why? Cross contamination with gluten [wheat, barley, rye]. Often times oats are grown in rotation with wheat, barley, and rye. Stray plants can be left behind that get harvested with the oats. Harvesting, transporting, and processing of oats can use the same equipment as gluten-containing grains, thus exposing oats to further contamination. Update January 5th, 2017 - Tricia, founder of Gluten-Free Watchdog, shares another article from PepsiCo (owners of Quaker Oats brand) about testing oats. Bottom Line. Based on the findings of the research by scientists from PepsiCo, Gluten Free Watchdog calls on ALL suppliers and manufacturers of gluten-free oats whether purity protocol or mechanically/optically sorted, and their certifying bodies to reevaluate their testing methodology and requirements for certification, respectively. Does the manufacturer disclose whether they use purity protocol or sorted oats? Do they disclose their testing protocols? Do they disclose the assay they use to test oats for gluten contamination? If a manufacturer refuses to answer any of these questions or responds by saying the information is proprietary, the advice of Gluten Free Watchdog is to move on to another company. 28 of 35 (80%) of oat products tested below 5 parts per million of gluten. 5 of 35 (14%) of oat products contained 20 ppm of gluten or more. 2 or 35 (6%) of oat products contained more than 5 ppm but less than 20 ppm of gluten. Approximately 5% of all gluten-free labeled foods tested at or above 20 ppm of gluten vs 14% of oat products. Update October 28th, 2016 - Dietitians in Gluten Intolerance Diseases (DIGID) held a breakfast meeting at this year's Food & Nutrition Conference and Expo (FNCE). Topic: Oats. This event was sponsored by purity protocol oats producer, GF Harvest Oats. GF Harvest Oats owner, Seaton Smith was the keynote speaker. A mechanically & optically sorted oats supplier was also asked to participate, but declined to speak. Tricia Thompson, RD, MS of Gluten-Free Watchdog volunteered to present information about sorted oats. Tricia was kind enough for create a video to accompany the DIGID oats meeting handout. Please have the handout open while watching the video. Background information on gluten contamination levels found within commercial oats. Gluten content testing results of oats. Testing protocols of millers of mechanically sorted oats (Quaker, General Mills/Cheerios, Grain Millers, La Crosse Milling). A PepsiCo Inc./Quaker Foods and Snacks (QFS) study on testing oats for gluten content. This important study reveals the difficulties in testing grains for gluten. Bottom line: Final product testing for oats must be extensive! Shortly after Cheerios announced their recall of 1.8 million boxes due to gluten contamination, Quaker Oats announced they will now be offering “gluten-free" oat products. Like General Mills, Quaker Oats will not be using oats grown/harvested/transported using a purity protocol. They are using regular oats that will be "cleaned" via mechanical or optical sorting methods. What is a Purity Protocol? On April 7th, 2017, Gluten Intolerance Group of North America and four of the largest Purity Protocol oat producers in North America (Montana Gluten Free Processors LLC, Cream Hill Estates, Ltd., Gluten Free Harvest/Canyon Oats, Avena Foods Limited) published a consensus definition of Purity Protocol oats. Having a standard definition allows consumers and buyers to know that oat suppliers are following industry-accepted or uniform best practices. Seed Purity: All gluten-free oats must start from seed, either purchased or harvested from the previous crop, that is free from all gluten-containing grains as determined by seed counts. Crop Rotations: Growers shall follow a nongluten crop rotation, or a minimum three-year crop rotation between the last gluten-containing crop and the first pure oat crop, and document all previous crops grown. Isolation Strips: Isolation strips are required between adjacent gluten-containing crops or conventional oat crops and must be a minimum of 6 feet in width. Field Inspection: There must be inspections for potential sources of gluten cross-contamination during the growing season; these should be performed by third party inspectors trained specifically for gluten-free inspection. Traceability: The farm must identify the oats by land location, and document the harvesting equipment, cleaning equipment, transports, storage facilities, and final distribution for the grain from each location. Equipment Cleaning (trucks, cutters, harvesters, augurs, conveyors): Whenever possible, growers should use dedicated equipment. If not, they must use a validated cleaning process prior to handling gluten-free crops. Growers must also maintain documentation of the previous grains in the equipment. Storage: Dedicated storage should be maintained for gluten-free oats. Cleaned Samples: Growers must visually inspect samples for gluten-containing grains prior to scheduling deliveries. Conformance with the grower agreement must be documented either by the grower or through an audit by the purchaser. There must be validation that the grower agreement is in compliance with these requirements through documentation and inspection records. The documentation must be reviewed and verified. Samples must be visually inspected by the purchaser for purity prior to receipt or unloading at the purchaser’s facility. Dedicated gluten-free grain cleaners, or appropriate procedures for cleaning grain-cleaning equipment and for the storage of portable grain cleaners. Dust control/collection procedures and schedules for changing or cleaning filters. Dedicated extrusion equipment, or written procedures for cleaning or purging extrusion equipment, if applicable. Must document purge volume, and that purge material tests negative for gluten prior to beginning gluten-free processing. Dedicated pre- and postprocess containers (such as totes). Dedicated rail cars, trucks, or transports, or procedures for the cleaning and inspection of rail cars, trucks, or transports used to deliver product to other facilities or customers. 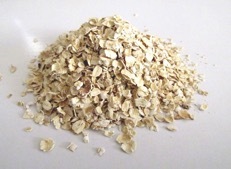 Sorting equipment may not be used for oats as a substitute for obtaining purity, but may be used as a supplement to the purity protocol to ensure purity. The final product must meet the 20 ppm threshold in order to be labeled gluten-free in the United States, Canada, Europe, and other countries following the Codex Alimentarius guidelines. The product must meet the regulations for gluten-free labeling in the country of sale. The final product must meet the 10 ppm threshold in order to be certified gluten-free by GFCO. While the requirements of the Purity Protocol are excellent for reducing the risk of gluten contamination from wheat, rye, barley, and their hybrids and related grains, these steps do not remove the requirement that the final product be verified as containing less than 20 ppm gluten in order to be labeled gluten-free, or less than 10 ppm gluten to be certified gluten-free by GFCO. Mechanical or optical sorting are methods to remove all unwanted kernels of wheat, barley, and rye from the oats. These processes "clean" regular oats after they've been harvested and transported to the processing facility. Mechanical sorting methods of grains and seeds have been around since the late 1960s, according to the USDA. These sorters use a variety of physical characteristics like size, shape, density, texture, terminal velocity, electrical conductivity, color, and resilience. As technology advances, these processes improve (but is it enough?) General Mills spent five years and millions of dollars to build a seven-story tall building to "clean" the oats. Watch: A video from General Mills about the "GF" Cheerios project. Optical sorting uses high speed, high resolution cameras and proprietary software to detect size, shape, and color parameters. Rejected items are ejected from the system using blasts of precise, high pressure air. Watch: A video of a Buhler Group Optical Sorter in action. The jury is still out on the effectiveness of these cleaning methods. Will they create a product that is truly gluten-free? Only time and proper extensive testing will tell. Quaker Oats have also opted for the optical and mechanical sorting methods (aka “proprietary”) of removing gluten grains from their oats. However, Quaker Oats reportedly have instituted better testing protocols than their competitor. Tricia Thompson, RD, founder of Gluten Free Watch Dog started building a list of companies that produce and use purity protocol oats. It didn’t go unnoticed that a few popular gluten free companies are missing from the list above. Why the fuss over Purity Protocol Oats? Again, it goes back to [the lack of] cross contamination with gluten [wheat, barley, rye]. For years, the gluten-free community have been told to only use pure, certified gluten-free oats due to the gluten contamination risks. In the past, this meant acceptable oats were produced and processed according to a purity protocol similar to the one described above. Most recently, it's been difficult to determine the pedigree of oats used in a product. Companies do not always give clear answers when asked about the oats in their products. As some of the manufacturer's statements have shown (see below), they are using a combination of purity protocol oats and "cleaned" oats, or straight "cleaned" oats. For a more detailed look at this aspect, please read Gluten-Free Watchdog's "Gluten-free oat production: Purity protocol versus mechanical or optical sorting: Does it matter to you?" Below is a list companies using "cleaned" oats, according to Gluten-Free Watchdog's list. Statement dated: May 22, 2016 to Gluten-Free Watchdog. "A brand and communications marketing associate responded in part (via email on May 22, 2016), “Bakery On Main’s top priority has always been to provide great tasting products that all those with Celiac Disease can trust and know are safe. We recently decided to soon begin using the mechanically sorted oats in some of our products only due to the fact that the supplier that we will be working with has been third party certified gluten free by the GFCO.” Please contact Bakery On Main for more information." Grain Millers have been mechanically separating oats since 2012, according to Gluten Free Watchdog. “Cream Hill Estates sources our gluten-free oats from a mill that successfully uses extensive mechanical and optical sorting to minimize the likelihood of gluten cross-contamination in their products. The mill uses both select commodity and purity protocol oats and does frequent sampling throughout the process from arrival of the oats at the mill to finished product, and we are satisfied that cleaning, sorting, sampling and testing at the mill produce gluten-content results that are well within acceptable limits for celiac disease (CD) and wheat sensitive consumers, including CD members in our own family. The mill provides us with test results for each lot number, an 1,800 pound tote bag, and we also do random independent third-party gluten testing of representative samples obtained by us from those totes. Test results from the mill and from third-party testing are always less than 10 parts per million (ppm) of gluten with the vast majority being less than 5ppm using S-ELISA and R5-ELISA test methodologies. Our products are certified gluten-free by the Gluten Free Certification Organization (GFCO). Our dedicated gluten-free manufacturing and packaging facility in Montreal is also free from any of the top 8 food allergens identified by the U.S. Food and Drug Administration (FDA) and the 10 priority food allergens identified by Health Canada. Quaker uses traditionally grown oats that have been mechanically and optically sorted to be gluten-free. 16 pouches or tubes are pulled during a production run (approximately 1 pouch or tube every 1⁄2 hour). Note: Approximately 400,000 single serving pouches are produced during a lot run; 50,000 tubes are produced during a lot run. A 40-gram sample is taken from each pouch or tube. Two extractions are taken from the homogenized sample and tested using the Ridascreen Gliadin R5 ELISA (R7001) Mendez Method. If any single extraction from any of the 16 pouches or tubes is above 12 ppm gluten the entire lot is discarded. Since beginning commercial runs, three early runs were above 12 ppm gluten and these lots were destroyed. Since taking corrective action, 25 additional lots have been run. All but one extraction from finished product gluten-free oatmeal tested below 5 ppm gluten; one extraction tested just above the lower limit of quantification of 5 ppm gluten (6 ppm). Quaker Oats Gluten-Free FAQ - Answers many questions consumers might ask about their oats. Yes, even a gluten-free certified product may use mechanically separated or optically sorted oats in their products. Bottom line, we don’t always know what type of oats are used in the product unless we ask the food manufacturer.